Photo courtesy of Greene County Animal Control Minnow is a female black domestic short-haired kitten. This beautiful 3-month old feline is waiting at GCAC for someone to bring her home. She’d love to have her own family before the holidays. Minnow has been spayed, vaccinated and vet-checked. 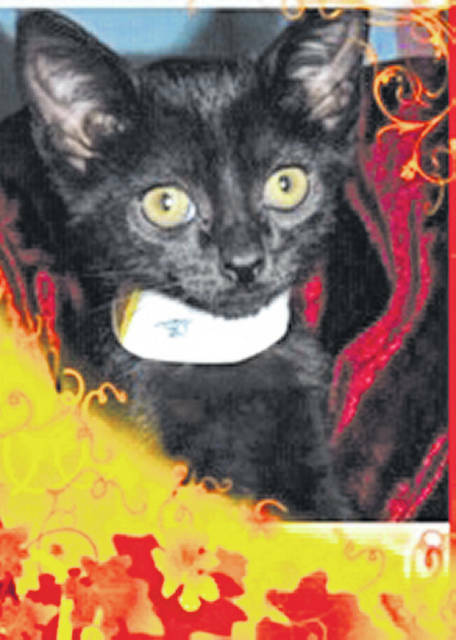 https://www.xeniagazette.com/wp-content/uploads/sites/32/2018/11/web1_Minnow.jpgPhoto courtesy of Greene County Animal Control Minnow is a female black domestic short-haired kitten. This beautiful 3-month old feline is waiting at GCAC for someone to bring her home. She’d love to have her own family before the holidays. Minnow has been spayed, vaccinated and vet-checked.